The public defender’s office requested Monday a McGraw man’s conviction for murdering a two-year-old be thrown out as “new evidence has come to light” that defense witnesses were threatened over the weekend and police refused to help, according to court documents. Assistant Public Defender Elizabeth Marris also requested in the letter to Judge Julie Campbell that a special prosecutor be assigned to Dorian G. Bohn’s case and an evidentiary hearing be scheduled. 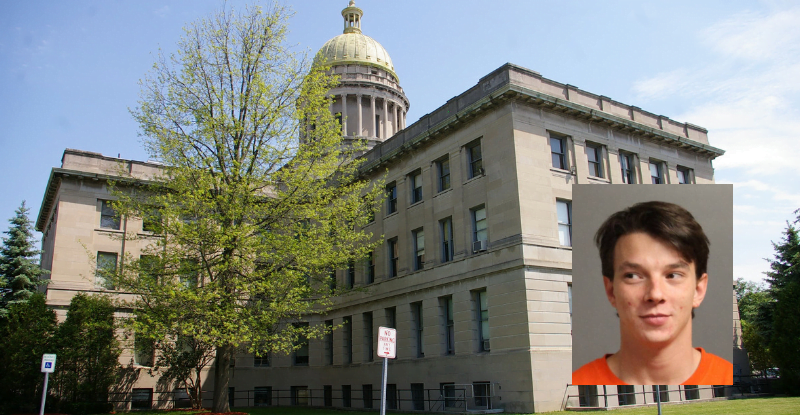 A Cortland County jury convicted Bohn, 29, on Feb. 4 of second-degree murder and first-degree manslaughter, felonies, as well as endangering the welfare of a child, a misdemeanor. He was found guilty of murdering his girlfriend’s daughter, Kassidy Dains, who died on April 19 of a depressed skull fracture after sustaining 50 injuries while in Bohn’s care. Bohn is scheduled to be sentenced on Thursday and could receive up to 25 years to life in prison. One of the witnesses, Abrianna N. Torbitt, of Cortland, says in a sworn statement attached to Marris’ letter that some evidence submitted by the prosecution at trial—a wall indentation with the girl’s hair in it and some of the bruises on the toddler’s body—existed before her murder. This statement was also cited in a motion Marris filed March 6—along with other allegations of juror, judicial, prosecution and police misconduct—that requests Bohn’s conviction be overturned and Bohn retried. Torbitt is being harassed by Kassidy Dains’ mother, Krystal Dains, and others because of this sworn statement, according to another sworn statement by Torbitt. "She is a liar," said Krystal Dains of Torbitt in an email to The Cortland Voice Tuesday. "Everything she wrote in her statements have been false." In her Friday statement, Torbitt also says Krystal Dains went to her house with a large group of people that day, causing Torbitt to be “...concerned for her safety.” She then contacted the Public Defender’s office and went to the Cortland City Police Department with her fiancé, Joseph Hinkle, to file a complaint. The officer she spoke with refused to help and told her to get rid of evidence of the threats, according to Torbitt’s statement. The Cortland Police Department police has not received any complaints regarding this matter, said Lt. Michael Strangeway on Tuesday. The department does investigate any reports of officer misconduct it receives. Hinkle states in his own affidavit dated Friday that he is Krystal Dains’ brother and that his family is harassing his fianceé regarding her sworn statement about his niece’s injuries and the wall indentation in his sister’s home. “It is clear that my family and their friends are trying to intimidate and coerce Abrianna into withdrawing her attached statement,” Hinckle states. Hinkle goes on to say that he also remembers seeing bruises on his niece before her death and that he too witnessed the wall indentation before the toddler’s murder.